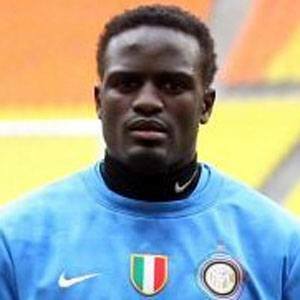 Midfielder who debuted for the Kenyan national team in 2006 and joined Internazionale in 2010 after spending three seasons with Parma. He began playing for Italian club Latin in 2016. He began his youth career in 2003 with Tusker F.C. His first international goal came in 2007 against Swaziland. His parents are named Mildred and Noah Wanyama. He has four siblings: Sylvester, Victor, Thomas, and Mercy. He was formerly engaged to Ariane Umutoni, but the couple ended their relationship in 2013. He almost went to the Premier League to play for manager Harry Redknapp at Portsmouth F.C., but costly work permit issues prevented the move from ever happening.